It is correct that the perpetrators were Sinhala and the victims Tamils. But it was by no means a mass uprising of the entire Sinhala race against Tamils. Although the tragic history of post-independence Sri Lanka records that the Tamils of Sri Lanka were subjected to mass –scale mob violence in the years 1956, 1958, 1977, 1981 and 1983, the anti-Tamil violence of July 1983 was the most horrible of them all. It remains etched in memory even after 35 years as “Black July 1983”. I have written about the dark happenings of July 1983 extensively in the past. However, I intend re-visiting the events of “Black July” briefly in these columns to denote the 35th anniversary of the terrible pogrom. When writing about “Black July” one is conscious of the negative connotations in using the colour “black” to describe something bad and evil and the colour white for pure and good. In this age of “political Correctness,” these usages have been challenged and debunked as insidious vestiges of racism. Wittingly and unwittingly these usages keep promoting racist stereotypes of colour. Nevertheless, it is difficult to adopt such a politically correct stance in the Sri Lankan context as the description “Black July” has pervaded national consciousness. Avoiding such references to Black July would be particularly impossible in writing about the violent events of July 1983. The incident that seemingly sparked off the Island-wide anti-Tamil violence was an attack on the Sri Lanka Army Soldiers by the Liberation Tigers of Tamil Eelam (LTTE) in the North. Thirty-five years ago on the night of 23rd of July, members of the Tigers led by Veluppillai Prabhakaran and his deputy Sellakkili Ammaan ambushed an Army patrol at the Post Box Junction area in Thirunelvely in Jaffna and killed Lt. Vaas Gunawardena of the Sri Lanka Light Infantry and 12 other soldiers. Troops went berserk in Jaffna in the hours that followed and shot dead 51 innocent civilians at various places in the Jaffna Peninsula on Sunday. This included seven passengers and driver of a minivan at Manipay. In Colombo, the Govt. had already decided to publish, broadcast and televise the news about 13 soldiers being killed by the Tigers while blacking out news of reprisals by the armed forces. W.D. Rajaguru the DIG in charge of the north informed the then IGP Rudra Rajasingham that the Army was running riot and that the Police were unable to control the situation. When this was communicated to President J.R. Jayewardene he immediately sent his nephew Gen ‘Bull’ Weeratunga, the then Army Commander to Jaffna. The situation was yet volatile when President Jayewardene instructed the then Defence Secretary Gen. Sepala Attygalle to instruct the Army Commander to bury the 13 bodies with full military honours within the Palaly Military Complex. When told this Bull Weeratunga retorted by telling the Defence Secretary “If I tried to do that they (Army) will bury me also here” and recommended that the bodies of the dead soldiers be sent as early as possible to their own villages. Thereupon the National Security Council met and decided that the 13 bodies would be flown to the Air Force base in Katunayake and embalmed. Thereafter the bodies would be sent separately to their families in their native places where the last rites would be observed and funerals held. The Police were instructed to have 13 air-conditioned vans in readiness to transport the bodies. Initially, this plan was approved by President Jayewardene. But suddenly the plan was cancelled. The 13 bodies were brought to Ratmalana by air and then to Kanatte for a joint funeral and burial. It was learnt later that Jayewardene had changed his mind after a meeting with the then Industries and Scientific Affairs minister Cyril Mathew dubbed as the Industrious Minister of Anti-Tamil Affairs. Now, in an even more inflammatory move, it was decided to stage a mass funeral for the dead soldiers at Kanatte. As large crowds gathered at Kanatte with people being transported in Govt. vehicles for the funeral the mood began turning ugly. This situation was exacerbated by the speeches of prominent Buddhist monks. IGP Rudra Rajasingham along with DIGs Ernie Perera and R. Sundaralingam went to Kanatte and realised that the situation was very fragile. The IGP then went personally to Ward Place and asked President Jayewardene to declare a Curfew on Sunday night. This was not done. The situation took a violent turn around dusk on Sunday. Mobs began moving in the direction of Borella and Thimbirigasaya from Kanatte. Tamil homes and businesses were attacked and set on fire. As the Esala full moon shone brightly from a not so cloudy sky, clouds of smoke from burning Tamil establishments spiralled upwards. The following Monday 25th saw anti-Tamil violence spreading like wildfire. 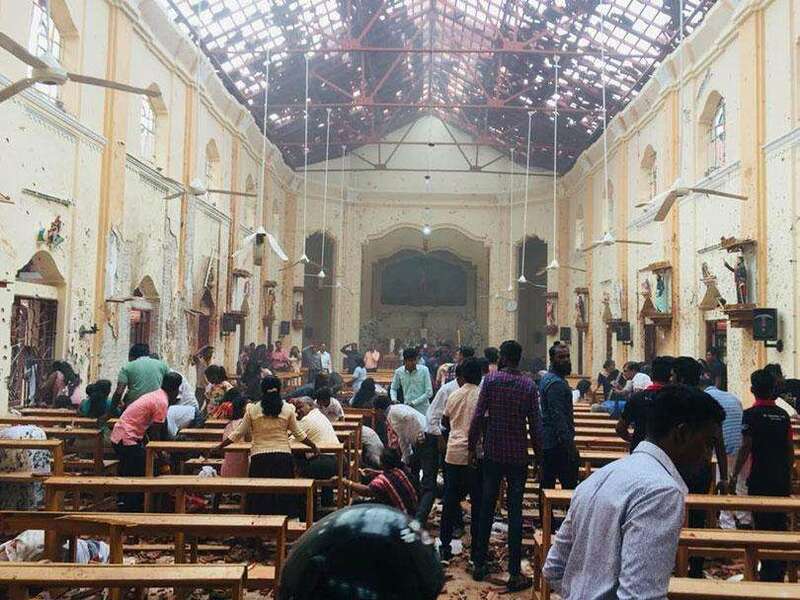 The plantation Tamil Patriarch Saumiyamoorthy Thondaman known for his pithy comments later described the violence that followed Poya on Sunday as – Sunday Sil, Monday Kill. Despite repeated entreaties by the then IGP Rudra Rajasingham to declare a curfew, President Jayewardene delayed imposing one until the following Monday evening. Even after a curfew was in force, the violence went on for three days peaking on Wednesday 27th and ebbing on Thursday 28th the day that Indian Prime Minister Indira Gandhi sent then Indian Foreign Minister P. Narasimha Rao as her Special Emissary to Colombo. Friday 29th, saw Colombo and suburbs being terrified by the rumour that the Tigers had come to town. The afternoon of that fateful Koti Dawasa (Tiger day) saw the goon squads massacring Tamils again after being ‘sure’ that no tigers were in town. The Sinhala people were collectively blamed for the violence by the President and his Government. This was done to deflect blame falling on the Govt. The majority of the Sinhala people were against what happened then. It cannot be forgotten that a large number of Sinhalese protected and saved Tamils often at great personal risk. Many Muslim people too gave shelter and protection to their Tamil neighbours in those dark days. There is, however, a major flaw in attributing the dark events of Black July ‘83 to the Sinhala people on the whole. It is correct that the perpetrators were Sinhala and the victims Tamils. But it was by no means a mass uprising of the entire Sinhala race against Tamils. It is possible that a section of the people who were non –participants may have been supportive of the anti–Tamil violence and sanctioned it by their silence. But the majority of the Sinhala people were against what happened then. It cannot be forgotten that a large number of Sinhalese protected and saved Tamils often at great personal risk. Many Muslim people too gave shelter and protection to their Tamil neighbours in those dark days. Another important point to note is that the July 1983 violence was not spontaneous in its entirety. It was basically an organized act. Several persons may have engaged in the violence on their own but there were core groups at different locations that planned and executed it. As is the case in mob violence these core groups were joined by others. These groups had absolute impunity and had the protection of important members of the United National Party (UNP) Government then in power. Many of the mobs were led by functionaries of the UNP trade union Jathika Sevaka Sangamaya (JSS). Several UNP Municipal and Urban councillors were involved. Many prominent supporters and strong-arm men of cabinet ministers were involved. The Police were ordered by UNP politicians not to arrest the violent elements. In most instances, the large groups of thugs and goondas were transported in Government-owned Transport Board vehicles or in vehicles owned by semi-govt corporations. Even food parcels and liquor were distributed systematically to these elements. 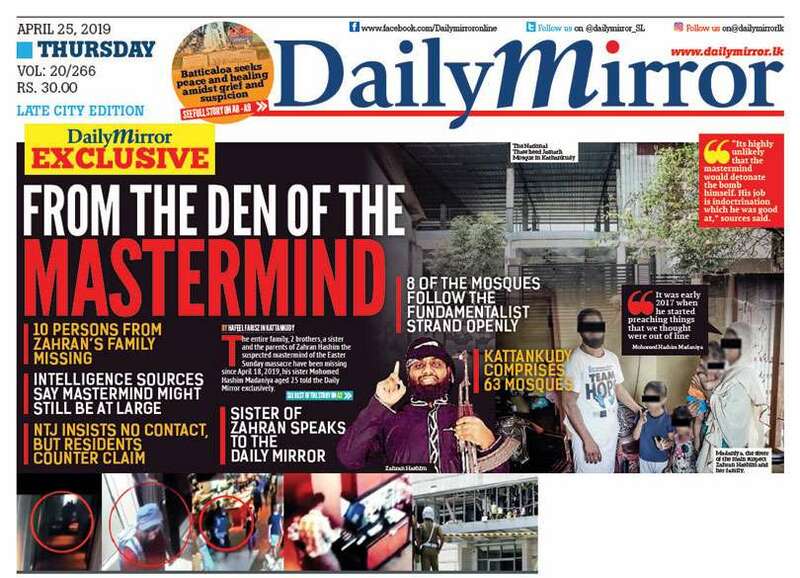 When some decent UNP leaders like Shelton Ranarajah and Renuka Herath Ranasinghe got goons locked up by the Police in Kandy and Nuwara – Eliya respectively their release was secured by Cyril Mathew and Gamini Dissanayake. The roles of Cyril Mathew and his political lackeys in the violence are well –known. Some of those involved are still in politics and holding high office. What happened in July 1983 was not a spontaneous riot but a planned pogrom. A “Pogrom” is defined as a form of violent riot, a mob attack, either approved or condoned by Government or military authorities, directed against a particular group, whether ethnic, religious, or other, and characterized by killings and destruction of their homes, businesses, property and religious centres. The word pogrom is of Russian origin and means “to destroy, to wreak havoc, to demolish violently” in the language. Pogrom became commonly used in English after a large-scale wave of anti-Jewish riots swept through south-western Imperial Russia encompassing present-day Ukraine and Poland from 1881-1884. Later bloodier waves of pogroms broke out from 1903–1906, leaving thousands of Jews dead and wounded. 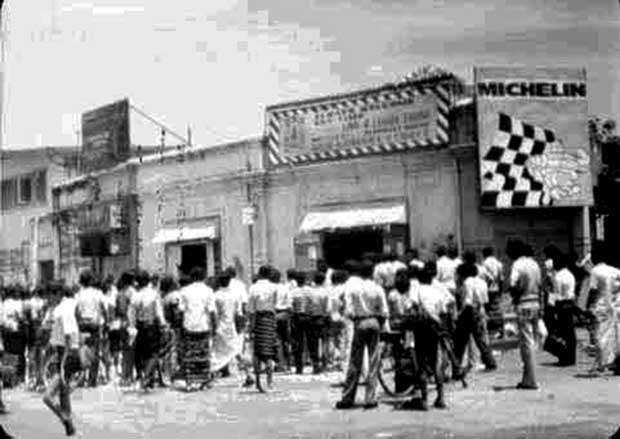 The anti-Tamil violence of July 1983 was not a spontaneous mass uprising against Tamils. Prior to the outbreak of violence, there existed a pre-planned conspiracy to launch a widespread attack against Tamil life, limb and property on a massive scale. All it required was a powerful incident to be the provocative pretext to justify such an attack. The Thirunelvely attack by the LTTE killing 13 soldiers, provided such an excuse for being the flashpoint of tension. It is also noteworthy that violence against Tamils had preceded July 83 in Vavuniya, Trincomalee and the University at Peradeniya. July ‘83 in that sense was a grand finale or culmination of an ongoing process. Notwithstanding the efforts of then President Jayewardene to tarnish the Sinhala people as being collectively responsible for this carnage, respected observers such as Paul Sieghart of the International Commission of Jurists exposed the real state of affairs. One of the best books that came out in the aftermath of the July 83 violence was “Sri Lanka” The Holocaust and After”. It was written by an unknown author L. Piyadasa. It was known that L. Piyadasa was a pseudonym. Who then was L. Piyadasa? I personally thought it was Regi Siriwardene. I asked him about this later but Regi denied he was the author. Shops, Banks, Offices and Restaurants in the Capital’s crowded City Centre and Main Streets being burnt while the Police looked on. Thousands of houses ransacked and burnt, sometimes with women and children inside. The mystery about this remarkable book was cleared up for me when the well – known writer, researcher and Social activist C.R. Hensman passed away. I had read some of Hensman’s books and had met him in the eighties on a few occasions in Colombo at the International Centre for Ethnic Studies, Marga Institute and Centre for Society and Religion. It was after his demise that Hensman’s daughter Rohini informed me that her father was L.Piyadasa.CR Hensman writing as L.Piyadasa describes the July 1983 violence as a pogrom and makes a solid case against the JR Jayewardene regime for it. The introductory paragraph in the book encapsulates July 83 perfectly. “Shops, Banks, Offices and Restaurants in the Capital’s crowded City Centre and Main Streets being burnt while the Police looked on. Thousands of houses ransacked and burnt, sometimes with women and children inside. Goon squads battering passengers to death in trains and on station platforms and, without hindrance, publicly burning men and women to death on the streets! Remand prisoners and political detainees in the country’s top prison being massacred. The armed forces joining in and sometimes organizing this pogrom against members of Sri Lanka’s two Sri Lankan minority communities. The nation’s President and top ranking cabinet members publicly justifying the pogrom!” It is clear therefore that in spite of the attempts to rationalise the July 1983 anti-Tamil violence as a “Sinhala backlash to 13 Soldiers being killed by Tamil Tigers” evidence uncovered during the past years have proved conclusively that “Black July” 1983 was a definite Pogrom and not a spontaneous reaction of the Sinhalese. Trade and Shipping Minister Lalith Athulathmudali was sorry that people had to queue up again for essentials as a result of the violence. Finance Minister Ronnie de Mel gave a lecture in history about Sena and Guttiga. Black July 83 saw over 4,000 Tamils and some Muslims -mistaken for Tamils-being killed. Thousands were injured. Some of the injured were killed in hospitals. There were over 200,000 displaced persons as a result. 130,000 were housed in makeshift refugee camps. More than 2500 business enterprises ranging from factories to petty boutiques were damaged or destroyed. The number of houses and dwellings damaged or destroyed is not fully estimated. The rationale behind the Tamil homeland demand was demonstrated as justifiable once again. While it was emphasised that Sri Lanka belongs to all her people and no community could claim exclusive rights to any part of the country, July 1983 resulted in the Tamils being cruelly denied existence in the Southern Provinces. The victimised Tamils were sent to the North and East for safety thus proving the necessity for a safe haven in the North and East. This is what impelled former Opposition Leader Appapillai Amirthalingam to state that the uppermost issues for Tamils then were the “security of our people” and “integrity of our homeland”. The same Amirthalingam was asked by the Ven. Walpola Rahula Thera at the all-party conference what problems were faced by the Tamils in Sri Lanka. Amirthalingam responded sorrowfully “How can you ask this question even after July 1983”? The mass scale deaths, destruction, displacement, deprivation and despair suffered by the Tamils both Sri Lankan and Indian made them characterise those days in July as a dark period in their lives. The extent to which the Tamils were diminished in that month made them call it “Black July”. The Tamil people were at a nadir of despondency. The only ray of hope then was “Mother India” in the form of Indian Prime Minister Indira Gandhi and the spontaneous show of sympathy and empathy by the people of India in general and the Tamil Nadu state in particular. The July 1983 pogrom saw more than a hundred thousand people fleeing to India as refugees thereby providing that Country with the necessary locus standi to intervene politically in Sri Lankan affairs. Thanks to the 6th amendment the Tamil Parliamentarians of the Tamil United Liberation Front also kept away thereby losing their seats. The political leadership began passing slowly and surely into the militant youth hands. The economy of Sri Lankan was affected badly. The good name of the country was sullied irreparably. Black July 83 was a watershed in the contemporary history of the Island. Black July 83 aroused the conscience of many Sinhala people. Indeed it cannot be forgotten that a great deal of Tamils escaped danger only because of the courageous protection extended by their Sinhala friends. There were well-meaning efforts by several persons to make amends and reach out to Tamils. Notable among which were the initiatives taken by the Anglican Bishop of Kurunegala. Rt. Rev. Lakshman Wickremasinghe and Methodist Church President Rev. Soma Perera. But as time progressed the ruling elite was able to prosecute the war against the Tamils further. Anti-Tamil violence became legitimized and institutionalised as a military effort. The brutalisation of the war, as well as some of the reprehensibly inhuman acts by the Tamil militant groups, helped reduce the moral superiority of the Tamil cause and predicament. Gradually the pangs of remorse and guilt felt by Sinhala public opinion about July 83 became lesser and lesser. It is also noteworthy that the nature of anti – Tamil violence was transformed after July 83. Incidents of massive mob violence ceased although isolated sporadic incidents did occur but were quickly crushed by the authorities. 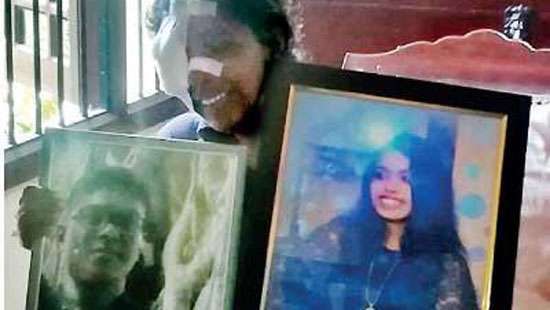 It has been often said that the mob violence of 1983 has not been repeated which indicates that the Sinhala people who perpetrated those acts have learnt their lessons. There are many references to the “tolerance and greatness of the Sinhala people in not enacting another July 1983” in this discourse. What should have been the “norm” was being depicted as the “exception”. Some strongly emphasise that “Black July 83” will never ever happen again. Not all Tamil victims of that violent spree are convinced and many do have apprehensions of a repeat performance. The main if not the only reason for the absence of large-scale mob violence after 1983 was the escalation of the war. Anti – Tamil violence was institutionalised and legitimised as an integral component of the war. With the pre-dominantly Sinhala armed forces engaging in full – scale war there was no need for lesser forces to act on their own. Also, the events of July 83 paled into insignificance as incidents of a more terrible nature proliferated in the North and East under the aegis of war. If July 83 was a week-long episode, the war was constant and continuous victimising and displacing the Tamil people in their historical habitat for nearly 25 years. The War, however, ended with the LTTE military debacle of May 2009 and the situation is now transformed. India also encouraged the training and arming of Tamil youths. Thousands of youngsters flocked to the different militant movements. Thanks to the 6th amendment the Tamil Parliamentarians of the Tamil United Liberation Front also kept away thereby losing their seats. The Tamil focus now is more on the loss of life in May 2009 as opposed to the earlier emphasis on July 1983. There were thousands of Tamils who were killed, injured or disappeared in that month. So to a large number of Tamil people, May 2009 is “Black May” like “Black” July 1983. Under these circumstances, there is a possibility that the significance of Black July may decrease gradually. The July 1983 anti – Tamil pogrom is fading into distant memory. Arguably had the memory of 1958 anti – Tamil violence been frequently re-visited and condemned the incidents of 1977 and 1983 may not have recurred. A major demographic change of vast political significance is the phenomenon of about a million Tamils relocating to the areas outside the North and East in recent times. Politically this was a major obstacle to the Tamil separatist cause. Here were people electing to live in “enemy” areas even as a bitter armed struggle was being launched in the North and East on the rationale that coexistence was not possible. Today more Tamils live in the seven Sinhala majority provinces than the Tamil majority North - Eastern provinces. But this point is lost on the new spectre that is emerging in the South. The ugly head of neo-fascism masquerading as patriotism is being raised. The minorities, in general, are being pilloried as “aliens” and “visitors”. The purveyors of racial hatred are spreading their evil gospel and irresponsible sections of the media are peddling it regularly. Communalist propaganda in the garb of pseudo-nationalism is gaining ground. The LTTE is no more but the Tamil population remains. They are seen as being relatively well-off or enjoying better standards of living compared to the lumpen elements in urban, semi-urban areas. Also, the economic peace dividends expected by the ordinary people are yet to percolate downwards. Against that backdrop, a communal conflagration cannot be ruled out decisively. Neo-fascism and pseudo-nationalism require the discovery of new enemies constantly. After the Holocaust of the Hitlerian era and its impact on the European collective psyche, few would have expected fascism or neo-Nazism to resurface. Yet many European Nations including Germany are experiencing it now. All people of Sri Lanka striving for a decent and humane future would hope that the July 1983 pogrom was only an aberration. But as in the case of eternal vigilance is a prerequisite for maintaining perennial liberty, the constant rekindling of the tragic memories of “Black July 1983” is very necessary to prevent repetition.